Dec. 26, 2013 - PRLog -- Las Vegas.- The Miss Mexico Organization, is pleased to announce that Setareh Khatibi a California Resident and who represented Sinaloa was crowned this past Sunday December 22nd, 2013 Señorita México U.S. 2013 at The Planet Hollywood in Las Vegas. 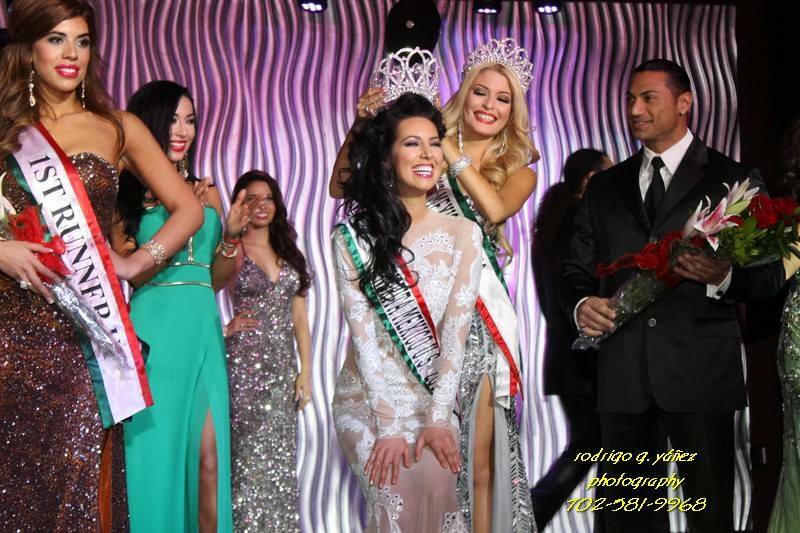 The California resident was elected among 13 other beautiful Ladies of Mexican heritage that were competing for the national in Las Vegas, Nevada. The crowning night explosive entertainment's was in charge of The incredibly talented and beautiful Nieve Malandra, Enrique Lugo and The Señorita Mexico U.S. Dancers, Comedian Sean Cooper and Pop singer OBrown. A big surprise was when CEO and Executive Producer of The Miss Mexico U.S. beauty pageant Adan Perez got on the stage and sung a romantic duet with Nieve Malandra the beautiful song “What a Difference a day made” singing its Spanish version “Cuando Vuela a tu lado”, Adan who surprised many with his romantic voice and talent came back on the stage to interpret another song on “the one last look” segment of the pageant, signing to the five finalists The Bobby Capo theme “Todo me gusta de ti”.